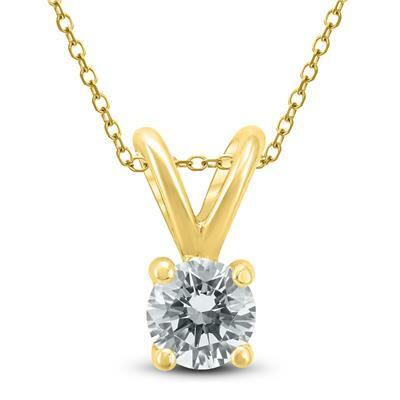 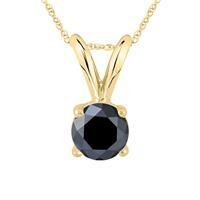 A stunning round diamond solitaire pendant set in a 14K yellow gold basket setting. 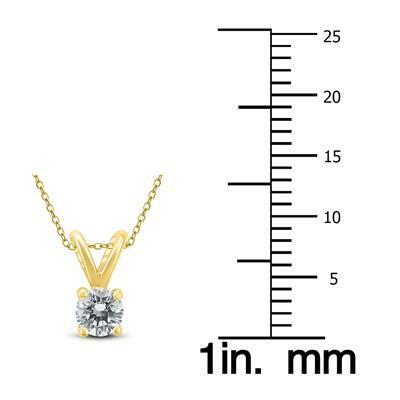 The diamond weighs 1/4 carat and is hand selected and set by experienced jewelers. 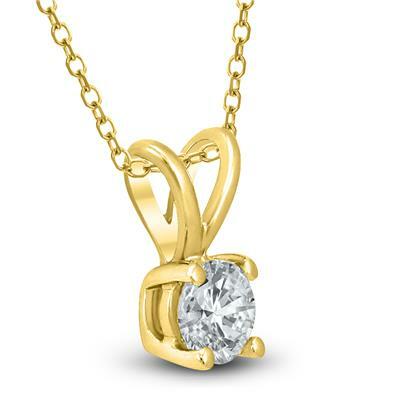 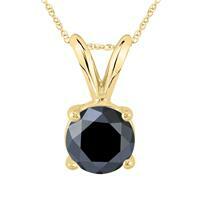 The pendant hangs from an 18 inch chain also crafted in 14K yellow gold. 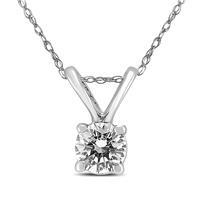 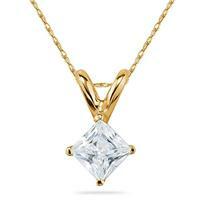 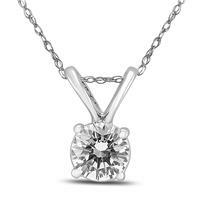 The pendant has been independently graded by the American Gem Society Laboratory (AGS) and comes with an evaluation report certifying diamond quality. 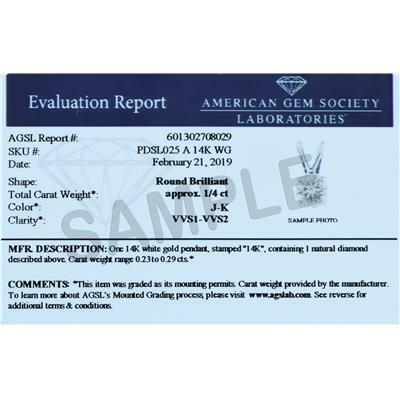 The diamond certifies with a minimum grade of J-K color or better and VS1-VS2 clarity or better.